Remove top front bed rail and reduce upright post so that it meets the top of bottom rail only. Reduce overall height of bed by approx 50mm so top surface of mattress base height is approx 696mm from floor. Its best to check with us first before ordering this modification to make use you understand it correctly. Please note: this modification can only be ordered at the time of purchase of the compatible product. If you would like to convert your existing bed that we have made previously please contact us. Exclusive Furniture designs. Catalogue with wide range of standard furniture. 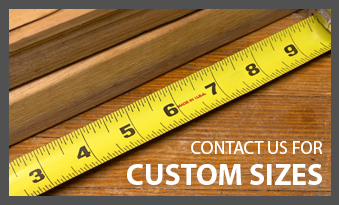 Contact us to make an appointment to discuss our designs or material finishes. We are also available to discuss all your custom furniture needs.